Lawrence R. LaSusa is a results driven attorney with a proven ability to create winning, cost effective solutions to complex problems, negotiate and draft contracts, and handle litigation, covering a vast range of business and legal issues, based on his success in corporate, law firm and government practice. From 1987 to 1990, he served as an Assistant Attorney General of Illinois, concentrating in securities and investment fraud, financial institution regulation and enforcement, and labor and employment law. From 1991 to 1996, he served as Litigation Counsel for Homart Development Co., a $2 billion commercial real estate development subsidiary of Sears. 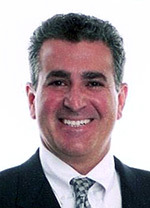 Mr. LaSusa was responsible for handling litigation covering every aspect of Homart's business, including joint venture and partnership disputes, land acquisition and zoning matters, environmental and construction issues, labor union and employment matters, bankruptcies, lease and license defaults, and personal injury claims. He had first chair trial responsibility for all litigation matters handled in-house. During his tenure at Homart, he recovered over $11 million through litigation, arbitration, negotiation and alternative dispute resolution, creating a 1000% increase over the prior four-year period. He also served as lead trial counsel in a lawsuit challenging a $9.5 million real estate tax abatement agreement resulting in a judgment for Homart that was affirmed twice on appeals to the Connecticut Supreme Court. In 1993 he received the Chairman's Award of Excellence for creating and implementing innovative methods to handle litigation, resulting in a 50% decrease in the length of lawsuits and a 50% decrease in annual outside counsel fees. From 1997 to 2000, he served as Litigation Counsel for Blue Cross Blue Shield of Wisconsin, a $2 billion company, where he was responsible for managing and handling litigation covering every aspect of the healthcare insurance business, including first chair trial responsibilities, and analyzing, drafting and negotiating contracts ranging from intellectual property licenses to insurance policy agreements. Mr. LaSusa's experience included commercial litigation, governmental regulation, corporate governance, and labor and employment issues. While at Blue Cross Blue Shield he recovered over $2 million through litigation, arbitration, negotiation and alternative dispute resolution with Fortune 100 companies such as GM, Chrysler, and Eli Lilly, and successfully defended many lawsuits with millions of dollars in damage exposure. Prior to becoming a principal of LaSusa Law Offices Mr. LaSusa was a principal attorney with Calcutt Rogers & Boynton, PLLC in Traverse City, Michigan. Mr. LaSusa is admitted to practice law in Illinois, Michigan and Wisconsin, as well as all United States Federal District Courts in each of those states. He holds memberships in the American Bar Association, State Bar Associations of Illinois, Michigan and Wisconsin, Chicago Bar Association, and is on the Grand Traverse Leelanau Antrim Bar Association Board of Governors. Mr. LaSusa graduated from the University of Illinois (B.S. 1983), and the DePaul University College of Law (J.D. 1986). He is a frequent continuing legal education speaker and author of several national and regional articles on intellectual property, trademarks, trade secrets and employment issues.